Before Christmas my work had a Christmas party and something miraculous happened - I won something!! So of course, I did what any reasonable book lover in my position would do - I considered it fate, and decided to spend the gift card on books. In total I came home with five, and I'm pretty happy with my choices, honestly. I don't have pictures of all of them, unfortunately - I would love to do a pretty little picture with them all stacked or whatever, to show you them. However two of them are now at home with me and the rest are at work, so a mixture of pictures and book covers from Goodreads will have to do! So, here are the books I got today! First up are The Buried Giant by Kazuo Ishiguro and The Danish Girl by David Ebershoff. I actually went into this trip hoping to pick up The Buried Giant, and I'm really happy with this purchase. First, it was on sale - score! Second, the cover is absolutely beautiful, and I like it much better than the other one that's available for this. The second book just happened to catch my eye and was also on sale, so I decided to pick it up - it sounds intriguing, so I hope I like it! Next is All The Light We Cannot See by Anthony Doerr. This one caught my eye on a shelf, and I was debating whether or not to purchase it when I took a look at the Goodreads ratings, which made up my mind for me. I know, it says Winner Of The Pulitzer Prize right on the front.. But awards aren't everything! I trust the overall view of the people I have on GR. 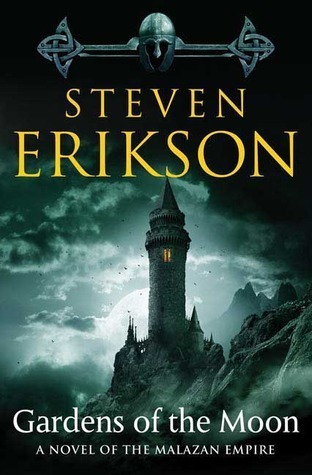 Gardens Of The Moon, by Steven Erikson. This baby is 700+ pages and is part of a series that seems to currently have...nine books? Ohgod, what did I get myself into. Anyway! We'll see - I've had this recommended to me by a couple of people, and I keep trying my hand at epic fantasy to see if I'll ever find a series that I can finish. I'm kind of annoyed that I had to choose between this cover or a big clunky hardcover for this one, but ah well, that's the way it goes. I'm interested to see if this lives up to the reputation and good reviews for me, or whether I'm turned off. So there we go, five books for today's book haul! I'm excited, I've already started in on one of them and might start in on a second since I left All The Light We Cannot See at work to be the one I read there. Haha, I hope so! The feeling when you don't like something that SO many people like is awful. I'm looking forward to it, though. :D And it's always nice to stumble into a new series so I kind of am hoping that I enjoy it. 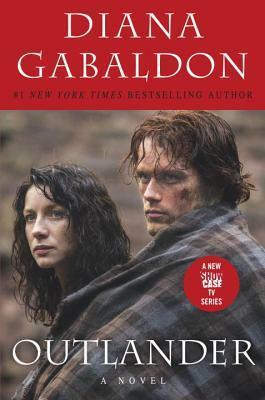 RE Outlander I never really like tv/movie covers either - sorry there wasn't more choice - as they never match the rest of the books in the series. The Buried Giant has a lovely cover though, well done! RE All The Light We Cannot See, this was one of my first books of 2016 and I absolutely adore it. I hope you will to! If I love the book I'll definitely spring for the hardcover or another copy - I just wanted something cheap and easy to carry around in the meantime, you know? I'm partway through All The Light We Cannot See - so far I'm loving the writing style! I'm really intrigued as to where it's going.